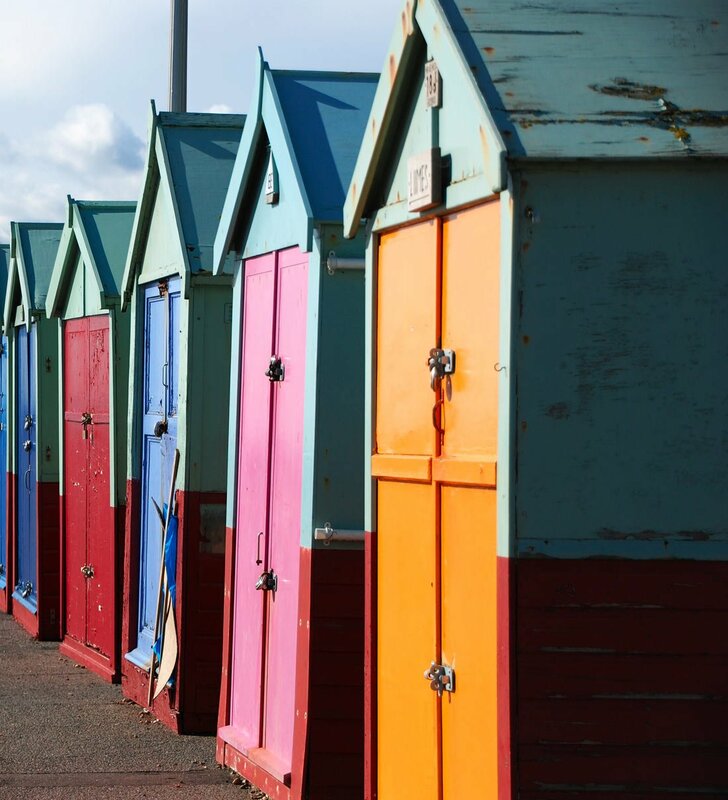 Brighton is a perfect one day trip from London and a beautiful seaside resort. 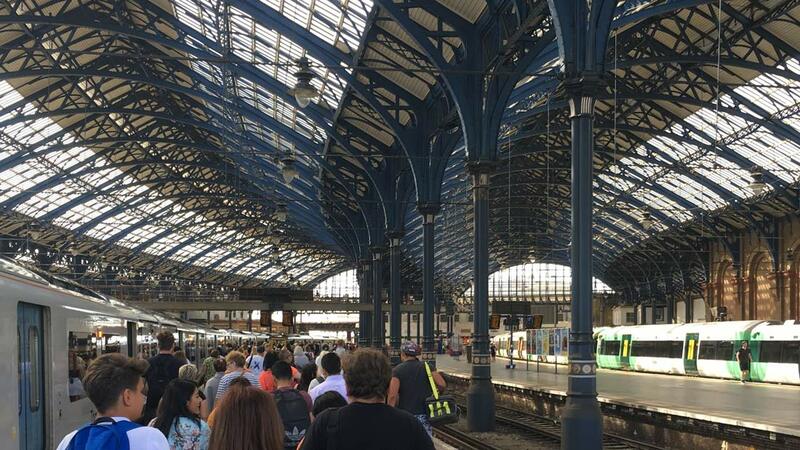 You can reach Brighton by train in only one hour from London. 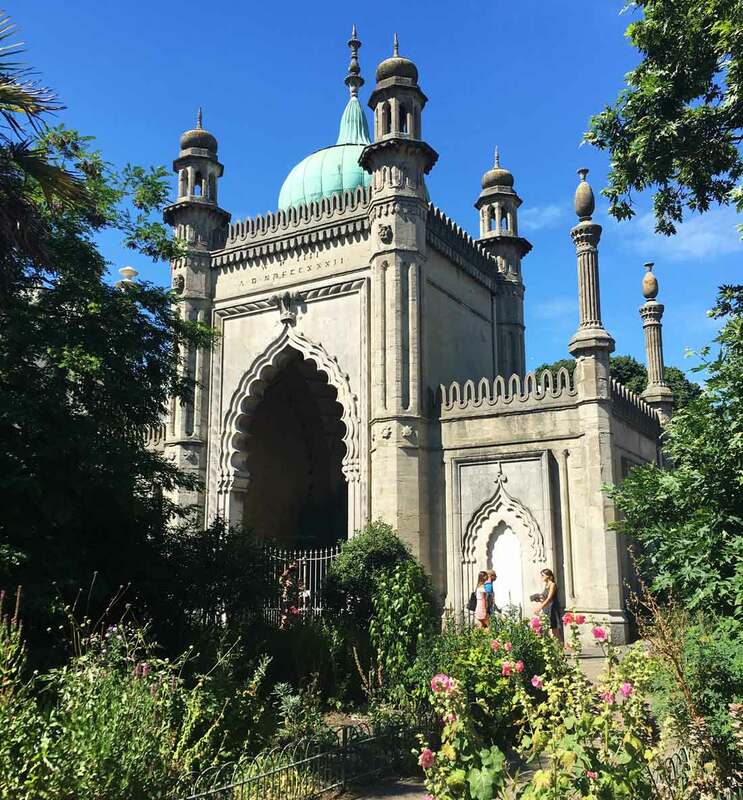 If you are in London for several days or it is not the first time you visit it and want to see also the surroundings, it is a well worth day trip that I recommend absolutely to do. 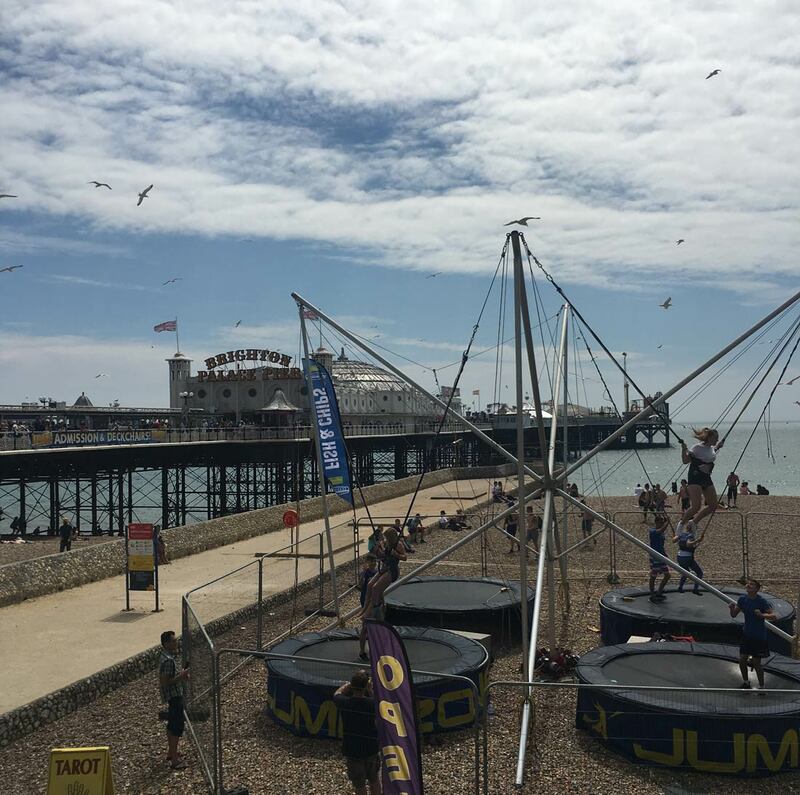 We are a family with two small children, (of 4 and 2 years) and we found Brighton comfortable and easy, absolutely family friendly! 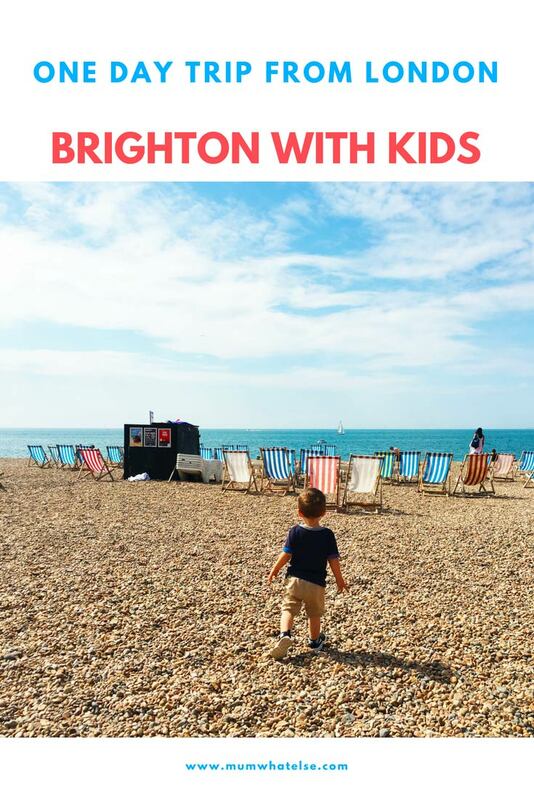 In this post I will tell you what we did, what we visited, where we had lunch, and all the tips that can be useful to visit Brighton with kids. This is definitely an anomalous summer for the UK, a whole month with 30 degrees and almost no rain. 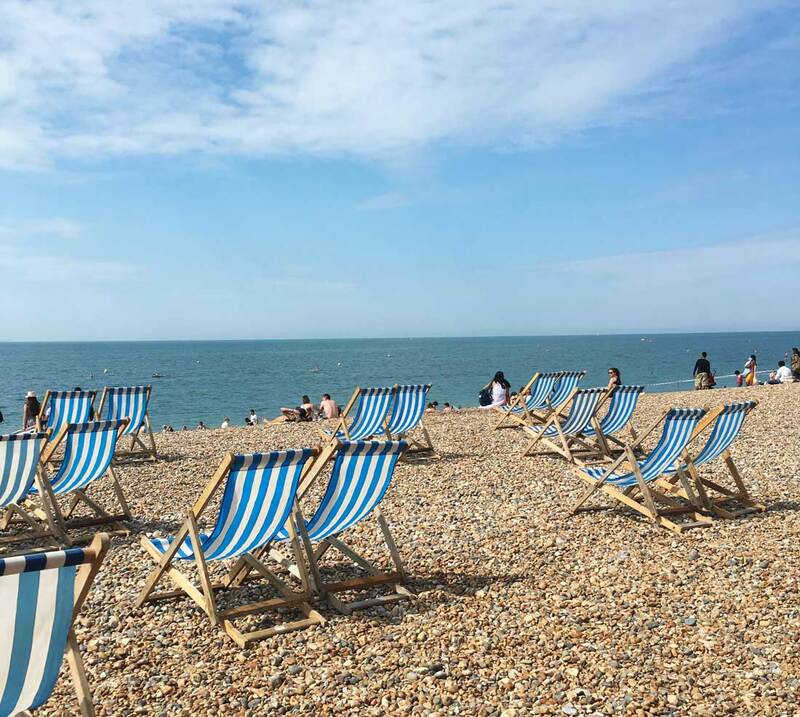 We have already been on holiday in June in Sardinia, and since we will be in London for the entire moth of August, we want to discover the English coast and out first choice is Brighton. There are many trains going from London to Brighton. Lots of trains from several stations, from London Victoria, St. Pancreas, London Bridge and London Blackfriars. Very frequent and punctual I have to say! In fact we lost our train in the morning, the classic moment when you arrive on the platform and in that right moment the controller has just turned the key to close the doors… But luckily we had to wait only half an hour for the next train. The train is on the route to Gatwick airport. It can be an option (if you fly back from Gatwick i.e.) to bring your bags and leave them to the service nannybag that I find very comfortable! Otherwise you can make a small detour, as we did, and spend a few time in the district of North Leine, which is on the way. From the station take one of the streets on the left. 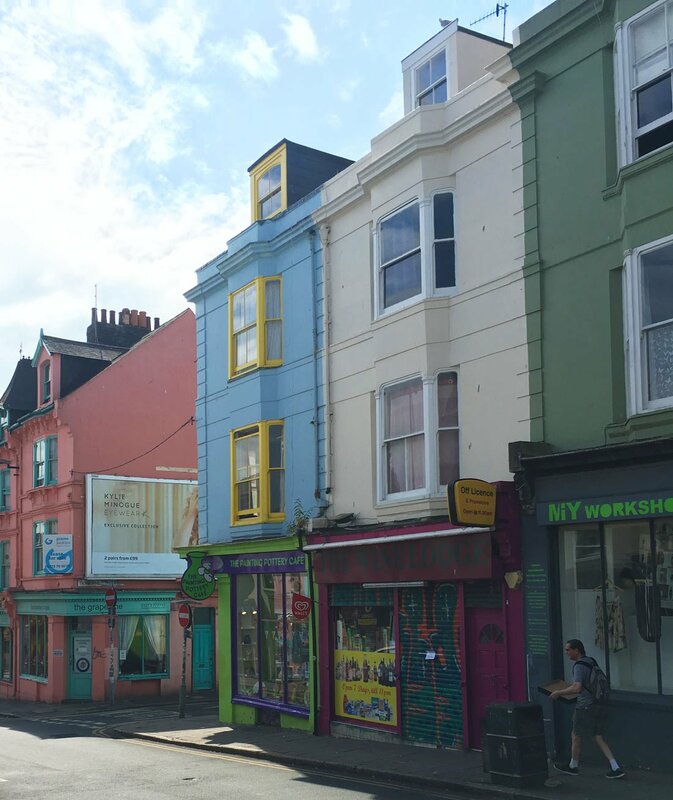 North Leine is a suburb of Brighton, where you will find many designer shops, graffiti and boutiques. 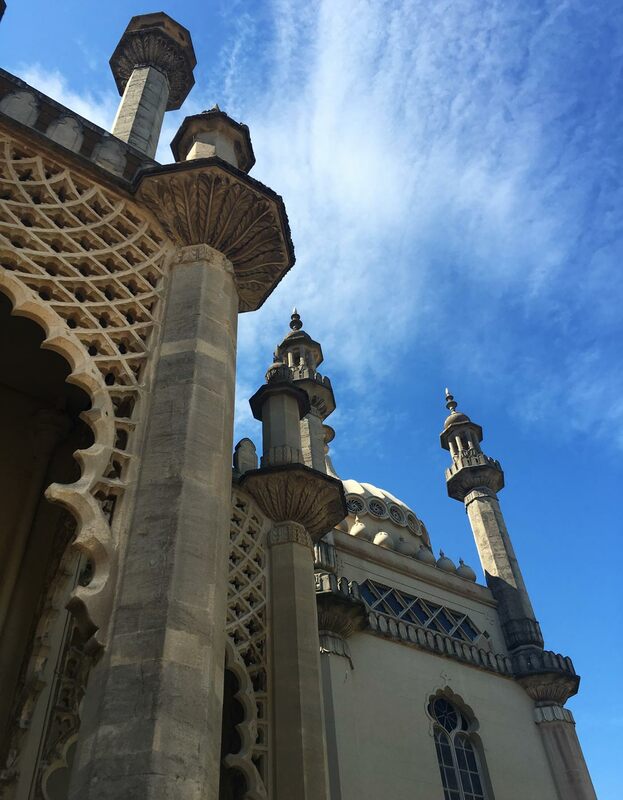 Don’t miss the Brighton books library! (Unfortunately This amazing bookshop closed in December 2018). 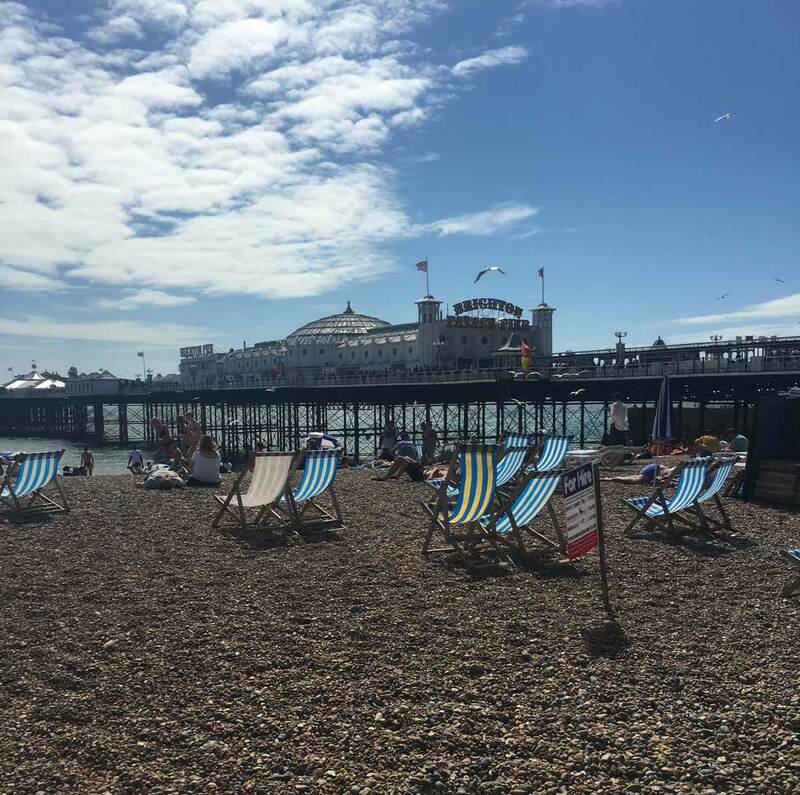 We stayed on beach that lies between the Brighton pier and the West pier (the one that remains…). 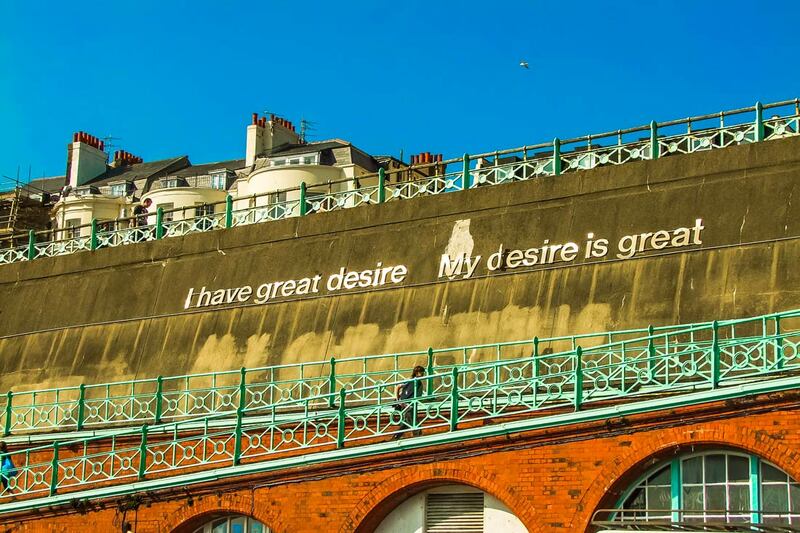 The pier built in 1866 by Eugenius Birch in fact, and closed to the public from the 1975, was built by a great naval engineer and architect (his also the piers of Hastings, Bournemouth, Eastbourne, the North Pier of Blackpool). 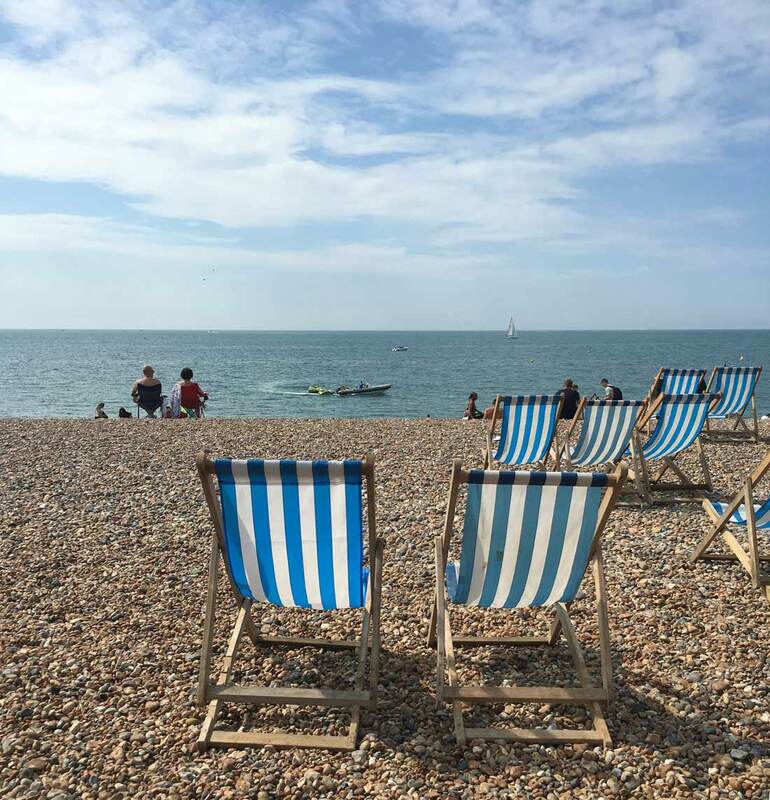 At the beach you can take some beautiful deckchairs to rent for a total relax! 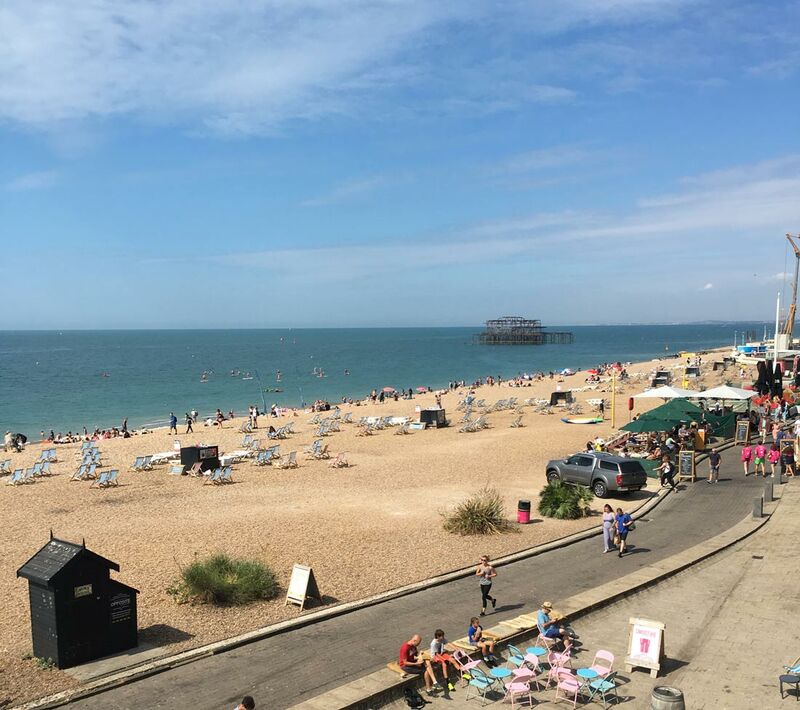 In Brighton there is no sand, but the beach with stones can even be a convenience for moms!, My kids enjoyed the beach very much, collecting stones of different colors and shapes! 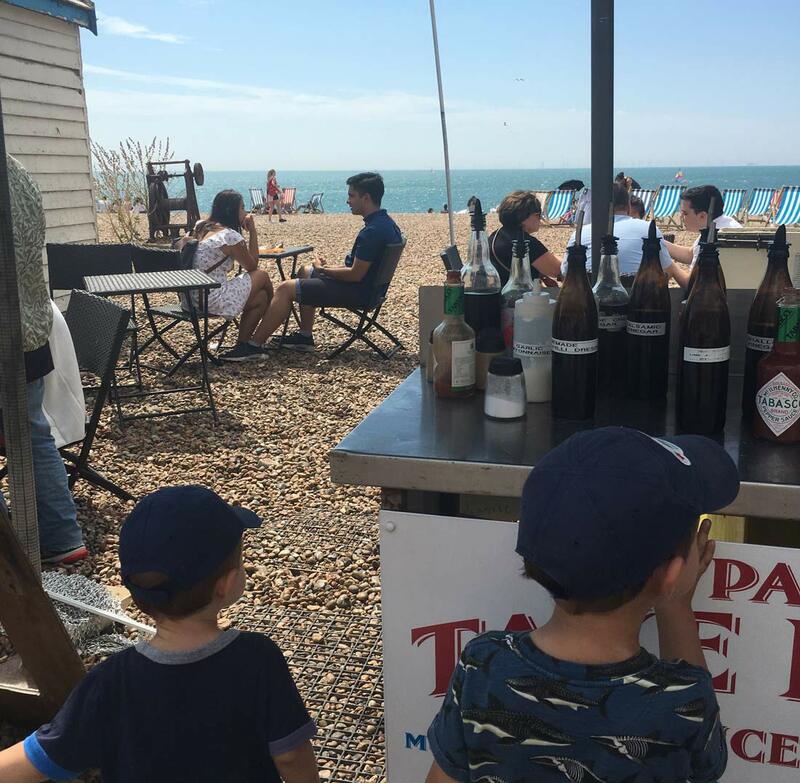 After a morning spent on the beach, for lunch we reached one of kiosks that are very close to the seaside. For us it turned out to be a winning choice: the children ate a sandwich with shrimp and we had a sandwich with crab. Delicious! We also enjoyed making a quick lunch, right on the beach! Also because my kids can’t be seated for a long usually! After lunch we strolled along the pedestrian path close to the beach and that is below the level of the nearby street. No cars and no noise at all! Needless to say this part of the beach is a real playground park for kids. 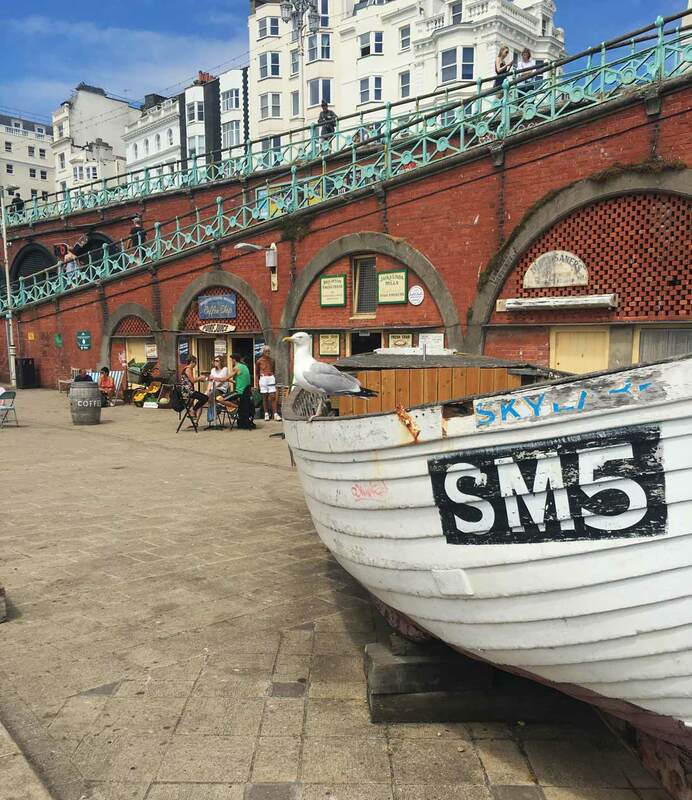 Brighton Pier is one of Brighton’s main attractions: in authentic Victorian style, the pier stretches out to the sea for several hundred yards. 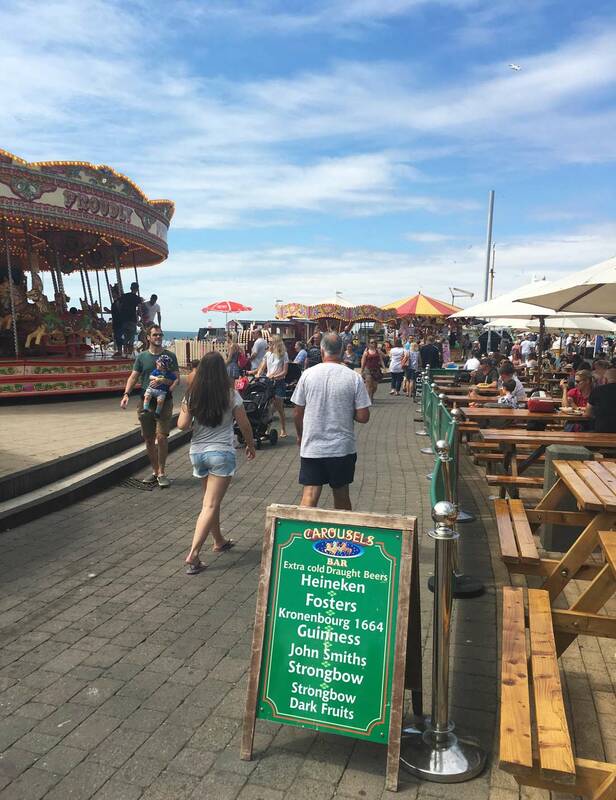 There you will find various bars and restaurants and a fun fair. As the Pier is usually crowded during the day, if you have the chance, wait for the sunset to see it by night with all the lights! After the afternoon nap, we headed to the Royal Pavillon, a unique mansion here in the UK. And in fact it has nothing of the English architectural style, it’s more a reminiscence of the Taj Mahal in India. If you have time, visit it also inside, the banquet hall is really worth the visit! 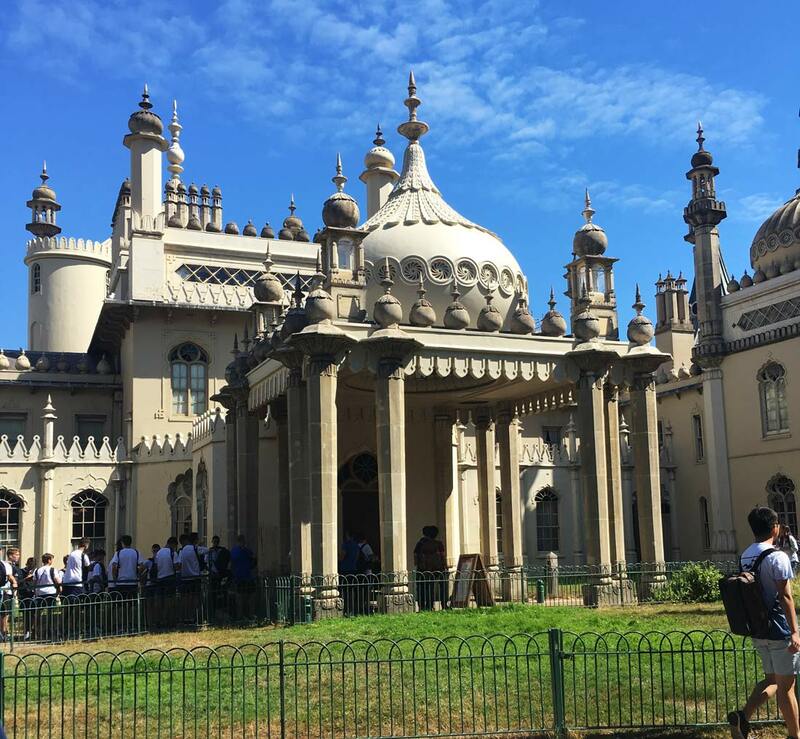 To get to the Royal Pavillon, from the beach, you will cross the district called the Lanes, which is worth a visit. I suggest just stroll among these streets, and I suggest don’t loose Red Roaster, a beautiful restaurant and coffee shop with endless marble surfaces, geometric tiling and hand painted wall art! 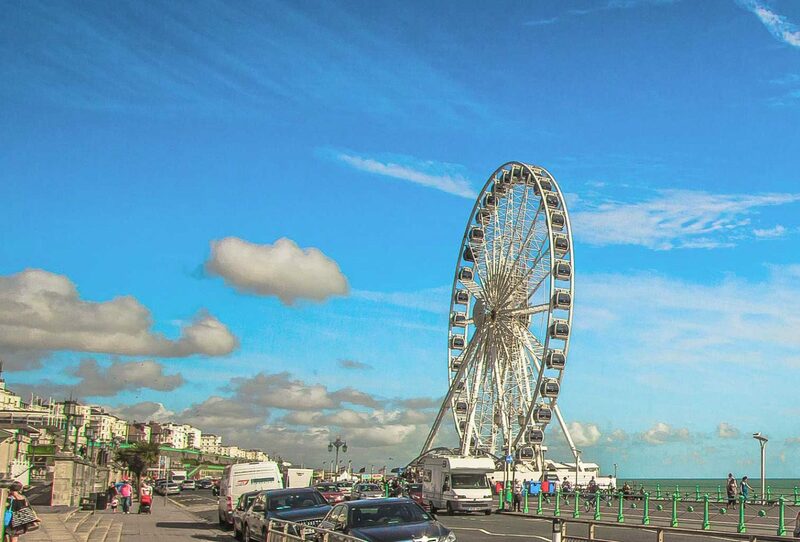 And during the summer right next to the wheel, there’s the screen for an outdoor cinema! 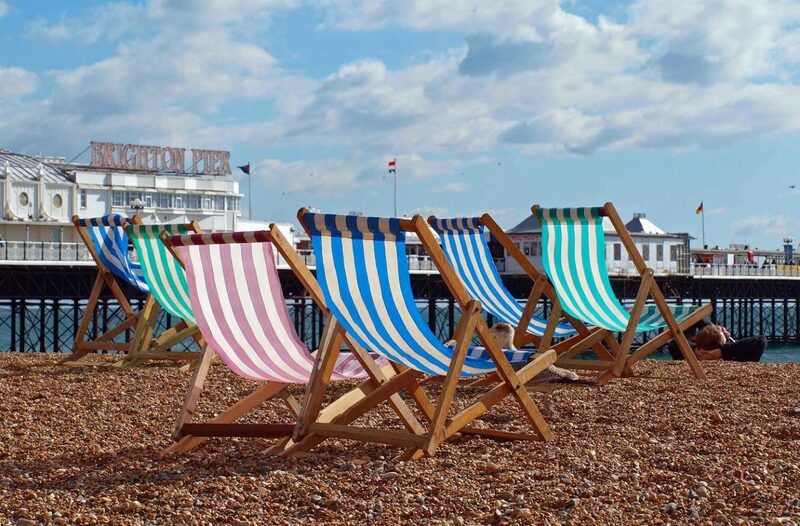 The sun deck chairs can be rented and cost £3 a day. There are also sun loungers for 6 £/day and the parasol 5 pounds/day. 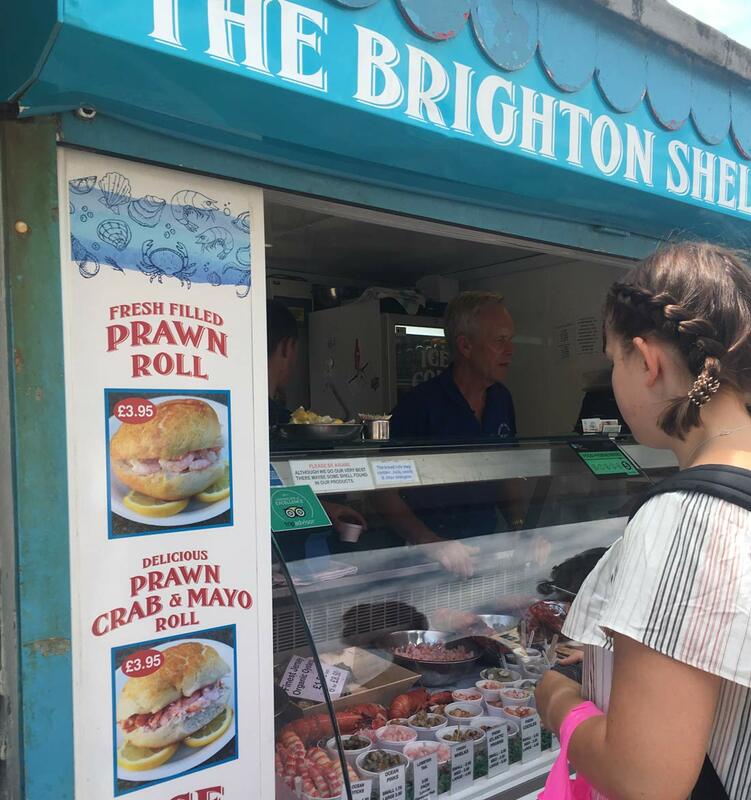 We preferred to eat at the kiosks, which are a great solution if you visit Brighton in the summer. If it is cold, among the various English chains that are found, I suggest Bill’s which also has a kids’ menu. 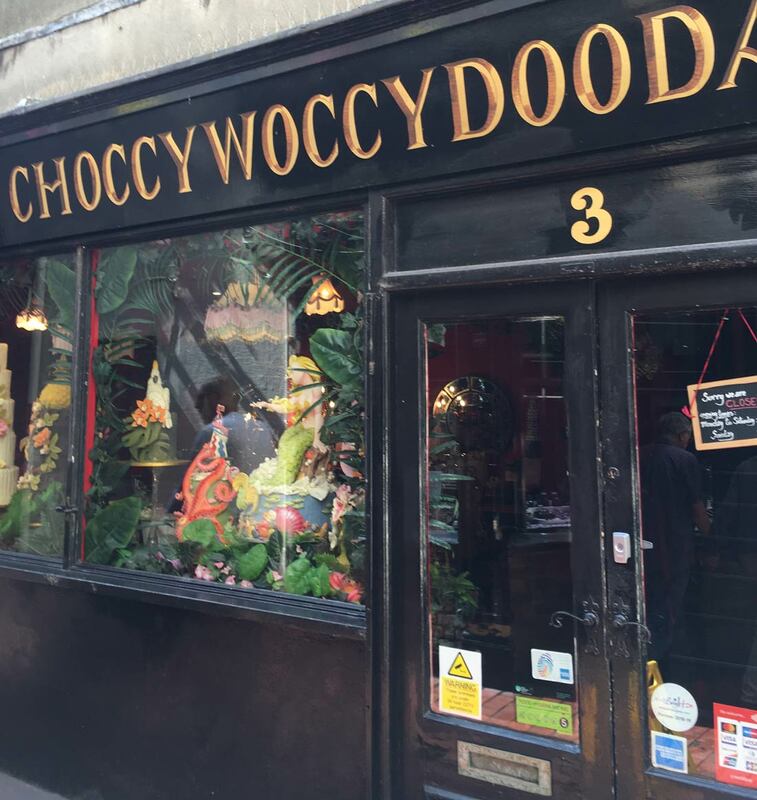 In the Lanes district, you will find one of the most famous pastry shops in the UK: Choccywoccydoodah, which has become famous not only for its fantastic chocolate creations, but also for the “Chocolate Factory” programme, which is aired on Real Time.